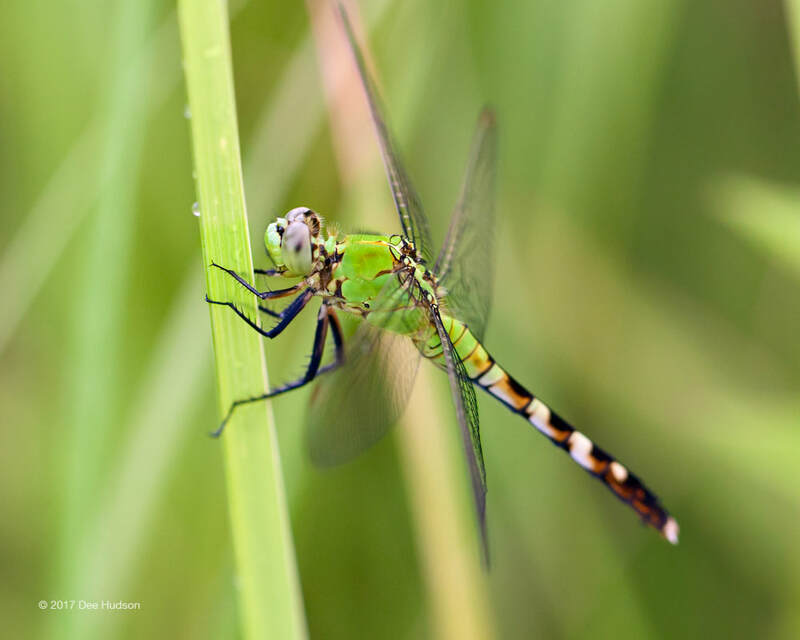 We’ve monitored dragonflies and damselflies since 2013 at Nachusa Grasslands. 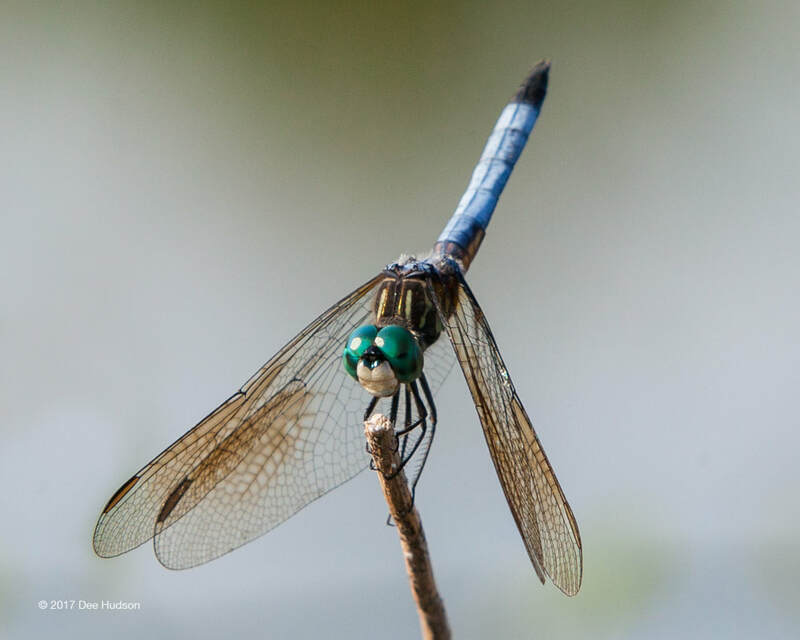 As of 2019, there are seven volunteer dragonfly monitors who report data to Nachusa Grasslands and the state of Illinois. 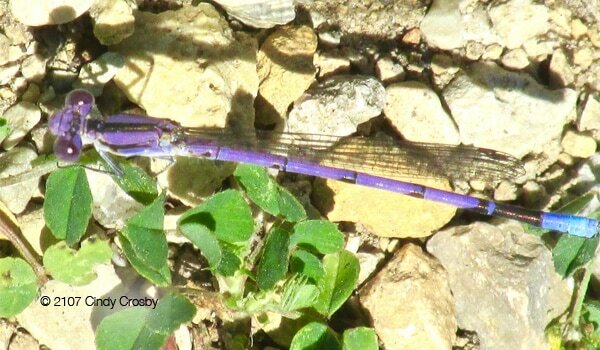 Aesthetically, many dragonflies are beautiful. They make our natural areas a prettier place. 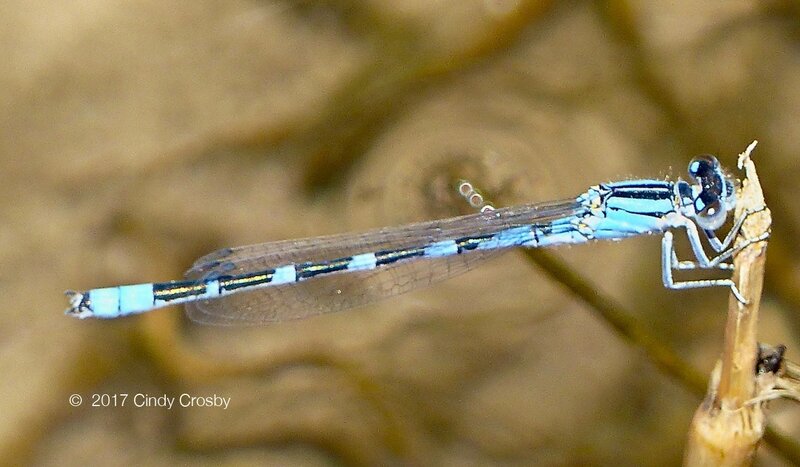 But more importantly, because they spend so much of their life underwater as nymphs, dragonflies can tell us something about water quality and its changes over time. 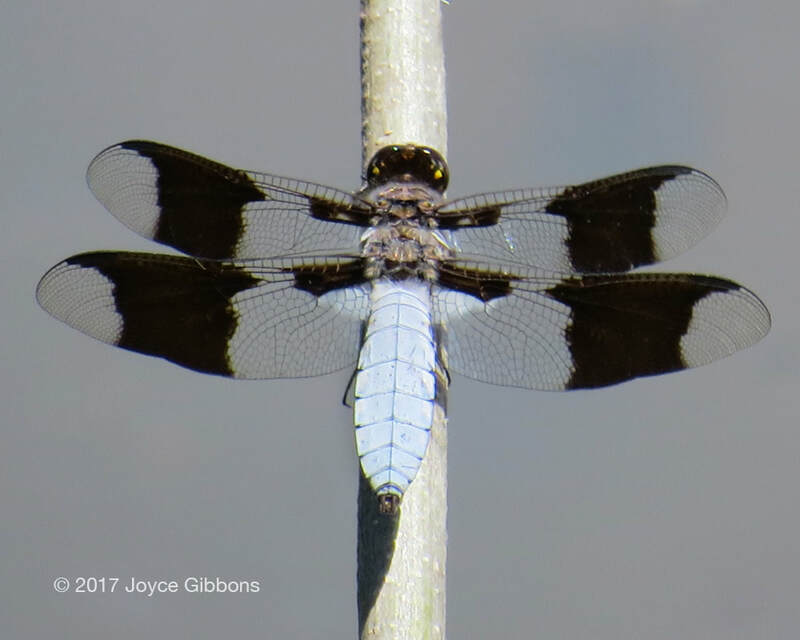 We also monitor dragonfly migration, which is still not completely understood by science. 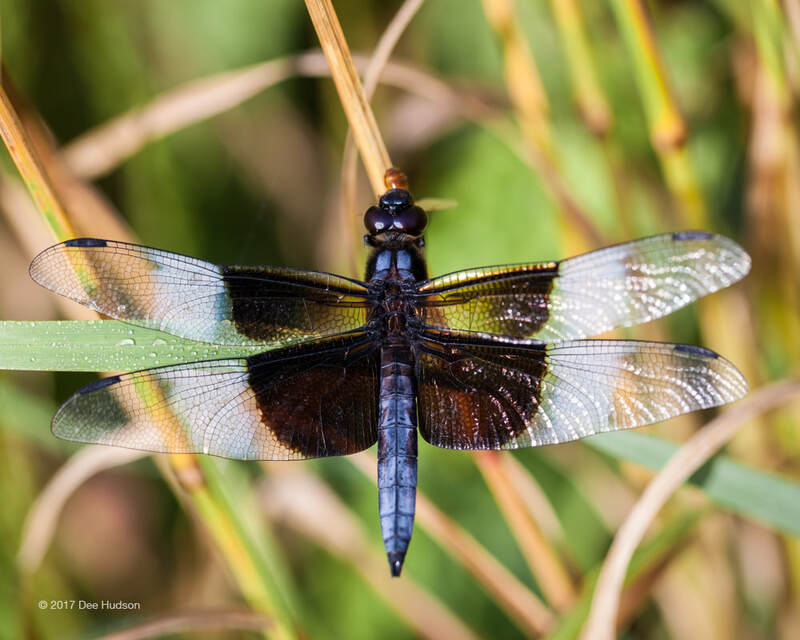 Dragonflies may also tell us about weather changes over time, as we follow their population and species numbers. The best viewing times are from mid-May to the end of October in one of our accessible public hiking areas. 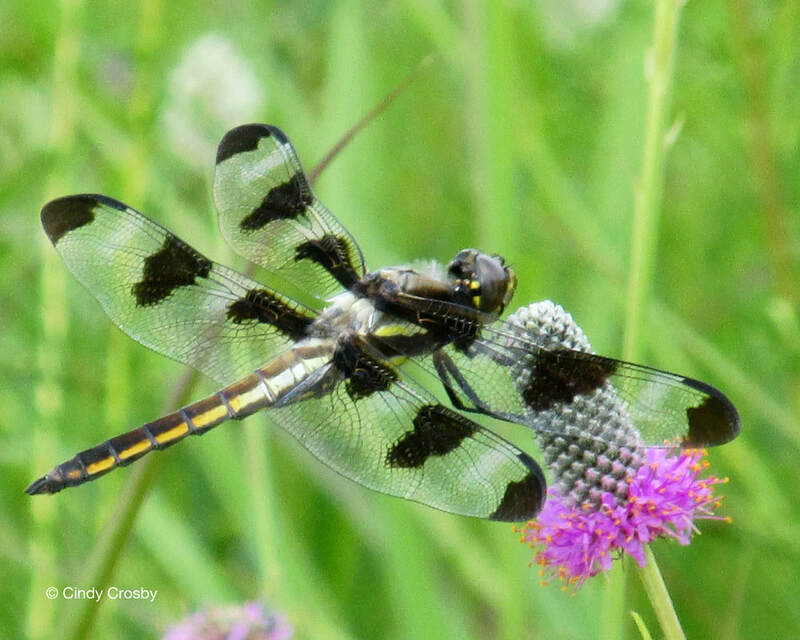 Look for them on warm sunny days without a lot of wind, hovering over the prairie or perching in the grasses by a stream. 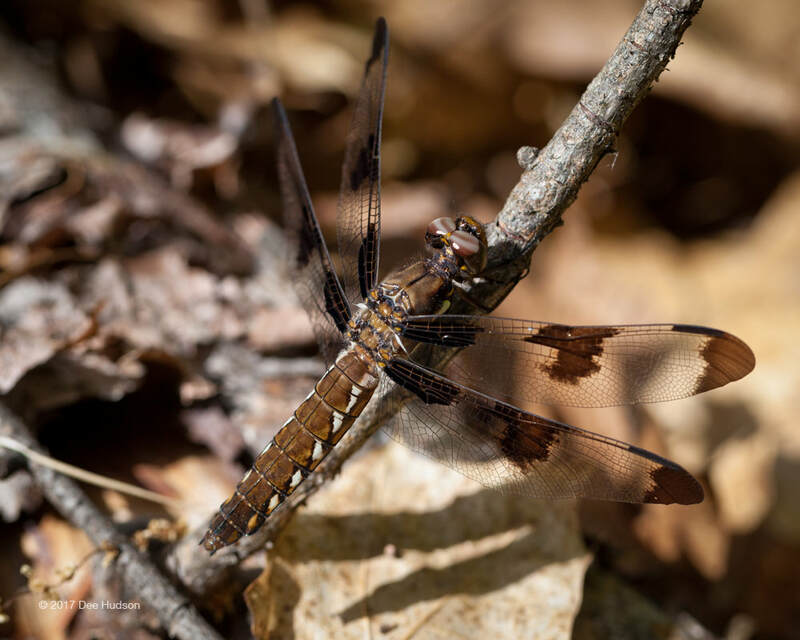 A good dragonfly ID book such as "Stokes Beginner's Guide to Dragonflies" is an excellent place to start learning more about these amazing creatures. 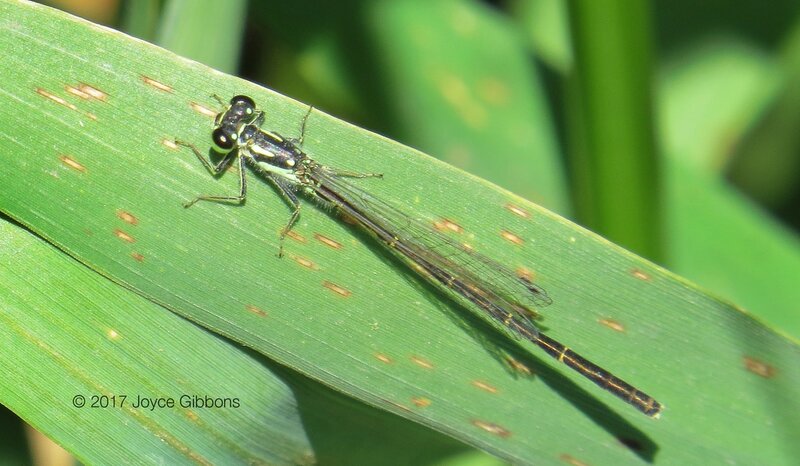 How can I become a Dragonfly and Damselfly Monitor? It's easy! Just contact Cindy Crosby and tell her you want to be a monitor. Can you find these species at Nachusa? 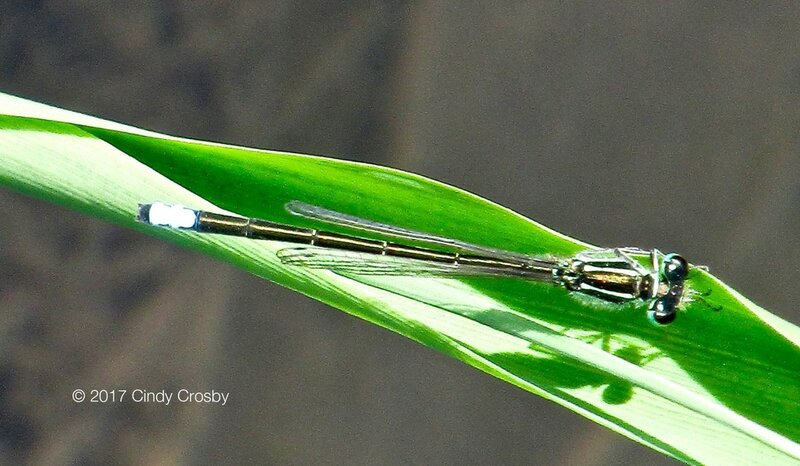 Damselflies you might see . . .
Dragonflies you might see . 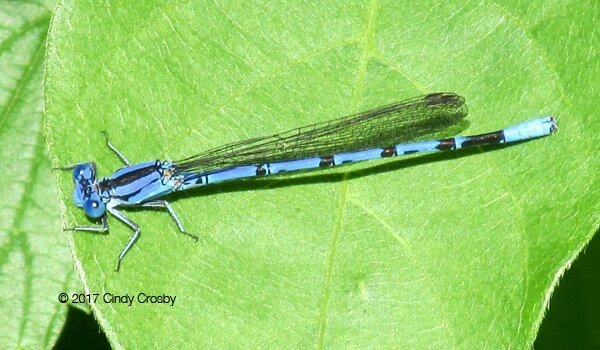 . .
For a complete list of dragonflies and damselflies seen at Nachusa, visit our Insect website page.